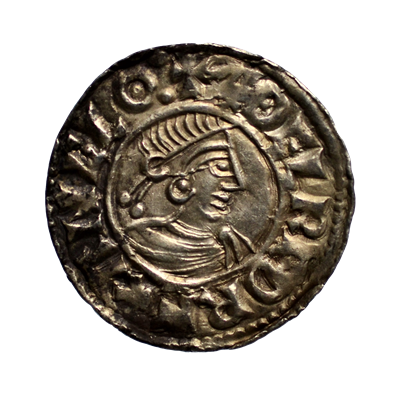 Welcome to Halls Hammered Coins dealers in British Hammered coinage from Celtic through to Stuart (300BC-1662AD). With over 20 years experience in the field we aim to bring you fantastic coins to enhance your collection. We are also a proud member of the British Numismatic Trade Association. We are constantly on the look out for additional stock so will gladly make offers on anything from a single coin to a complete collection of Hammered Coins. 7th April 2019 - 17 New additions - Todays listings include a lovely high grade small flan penny of Edward the Confessor. Serveral high grade Roman Siver Coins, a Philip & Mary shilling. Some Commonwealth coins, some Edward III & Richard II Coins. 30th March 2019 - 13 New additions - Todays listings include a lovely high grade penny of Edward I Class 1c, some short cross and voided long cross pennies. Scottish and Irish coins, some Northumbrian Saxon Stycas, a Charles II Groat and some Tudor coins of Henry VIII. 24th March 2019 - 18 New additions - Todays listings include a Hammered Gold Quarter Noble of Henry VI, a Pattern Charles I Halfgroat plus more of this monarch. An Alexander III Penny, Charles II Penny, Commonwealth Halfgroat, a Berwick Penny of Edward I with annulet breast - very rare. Elizabeth I Pennies, Henry VI Penny and halfpenny, James I Penny, John penny of York and a very high grade Roman coin of Otacilia Severa. 16th March 2019 - 13 New additions - Todays listings include several Edward I, II and III coins, a Short Cross and Voided Long Cross, a Henry V Halfpenny and a Northumbrian Sceatta of Eadberht. 10th March 2019 - 8 New additions - A decent Charles I Halfcrown, a Charles II Shilling, some Edward I, III Pennies, couple of Voided Long cross of Henry III and a Edward IV Durham mint penny. 26th February 2019 - 18 New additions - A stunning Alexander III Penny, they don't come much better. A rare Augustus Roman Denarius, Celtic siver unit, several Scottish Billon Coins. A couple of Edward III Groats including a very nice Series F with Crown mintmark. Several Tudor coins including a Henry VIII Groat with a strong portrait. A Henry II Short cross - class 1a, Henry V & VI Halfpenny. 13th February 2019 - 10 New additions - A very rare Old Type Penny of Henry VII, a couple of James I coins, a Richard II Penny with a decent portrait. A Celtic silver unit of Epaticcus, some Edward I & Edward III Pennies, A Elizabeth I 3 Halfpence and a Commonwealth halfpenny. 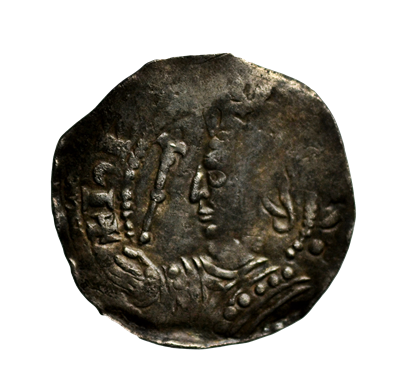 4th February 2019 - 5 New additions - A English Civil war, Newark Siege Ninepence. Some high grade coins Bury St Edmunds mint pennies of King John, Edward I - Robert de Hadelie and Henry II Tealby issue. Also a Kinstone upon Hull Mint penny of Edward I. 1st February 2019 - 7 New additions - An Aethelred II Cut Halfpenny, and some smaller denominations of Henry V, VI, Richard II, Edward I and James I. 29th January 2019 - 5 New additions - A Celtic Gold Stater, an Irish Halfpenny of John, a Henry VII Halfgroat, a Henry III Voided Long Cross Penny of Bury St Edmunds Mint and a William the conqueror Cut Halfpenny. 28th January 2019 - 1 New addition - An excellent Henry VIII Testoon. 27th January 2019 - 7 New additions - Today's listings include some very rare coins. A stunning portrait penny of King Offa, a couple of Coenwulf pennies a unique Edward the Martyr Cut Halfpenny. A Norman cut halpenny of Henry I - Class 4, a Commonwealth Halfgroat and a Henry VII Halfpenny. 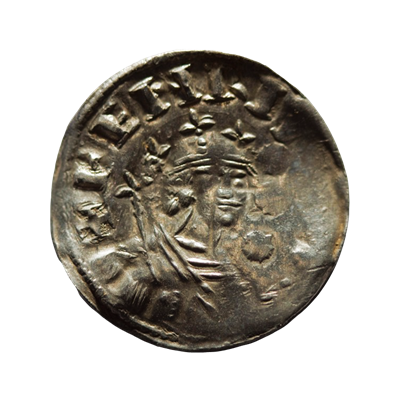 20th January 2019 - 13 New additions - Today's listings include several medieval coins, Edward I & II. An Anglo-Gallic Demi Sterling of Edward III. Edward IV Halfgroat and a voided long cross of Henry III. 13th January 2019 - 12 New additions - Today's listings include a nice selection of Tudor Coins, including 3 Very rare Henry VIII Testoons and a groat, a Henry VII York Halfgroat. A very rare Richard II Halfpenny with annulet on breast. A couple of short cross coins, Henry II & John. A couple of Scottish coins of James III, Commonwealth Halfgroat and a nice Celtic Potin. 7th December 2018 - 8 New additions - Today's listings include a Celtic Gold Stater, a rare PAX Penny of Henry I, a couple of lovely high grade Trefoil Type Groats of Henry VI, a good Mary Groat,a couple of saxon Sceattas and a Large fragment of a Southern Variety of Stephen. 1st December 2018 - 10 New additions - Today's listings include some Edward I Pennies a nice Berwick Mint class 1a, a nice Quatrefoil Type Penny of King Cnut, a Scottish 5 Shillings of James VI. A William the conqueror penny made into a pendant in antiquity and some others. 24th November 2018 - 10 New additions - Today's listings include some Edward I Pennies with an excellent Class 3b example, some short cross of Henry II, Henry III and Richard I. A couple of Edward III coins and also a lovely Richard II halfpenny. 20th November 2018 - 4 New additions - just a few additions today including 2 x Edward III Half pennies of Berwick Mint, type with Boars heads on rev. Also a Edward III Halfgroat of Calais - rare, and a lovely short Cross of John Class IVa. 16th November 2018 - 14 New additions - Today's listings include an Edward IV Gold Rose Noble, a truly stunning Cnut Penny of Leicester Mint, also a Dover mint of Cnut, an Aethelred II Maldon Mint, A very nice Henry V penny, Commonwealth Halfpenny, a Robert de Hadleie Penny of Edward I but with lombardic n's! a couple of Edward I Halfpennies one of Berwick Mint,A Edward III Halfgroat with a very strong portait, a Very rare Eadgar Penny, a couple of Saxon Sceattas. 10th November 2018 - 9 New additions - Today's listings include 3 Mary Groats all with good portraits, Alexander III Halfpenny, William the Lion Cut Halfpenny, a very rare king of Kent penny of Cuthred. A stunning Roman Denarius of Caracalla, a Henry VIII Groat and a Edward III Halfgroat. 7th October 2018 - 40 New additions - Now all listed, they include 2 Stephen Pennies, several short cross and voided long cross, a James I Halfcrown, several Henry VIII coins, some Scottish coins, a Celtic silver unit and some Edward I coins to name a few. 20th September 2018 - 7 New additions - Todays listings - A Ex.Rare Aethelred II Penny of Warwick mint, looks like a new moneyer for the type, a large fragment of an Alfred the great Penny, a lovely large Scottish silver coin of James VI - full thistle Merk, a boy king halfgroat (Edward VI), A Henry II Short Cross Penny and a couple of Edward I. 10th September 2018 - 11 New additions - Todays listings - An exceptional Roman Gold Solidus of Honorius, A lovely William the Lion of Scotland Penny, a Edward VI Threepence, A high grade penny of Edward III, Henry II Tealby penny of Bury St Edmunds, A Stephen cut halfpenny of Carlisle Mint, couple of others . 5th September 2018 - 10 New additions - Todays listings - Managed to get another group done which include a lovely Elizabeth I Halfcrown, a 3 farthings & Halfpenny. Some Henry V coins, James I pennies, an Eanred Silver Styca and a very bold William the Lion of Scotland. 3rd September 2018 - 12 New additions - Todays listings - A nice selection of Edward I Pennies, some high grade commonwealth coins, Henry VIII Halfpenny, a Henry III VLC Penny, Edward III Groat, a Richard II Halfpenny and a Saxon Styca. 26th August 2018 - 6 New additions - Todays listings - A Hammered Gold Halfcrown of James I, A rare die error Henry II Short Cross Penny, A Eadred Penny, Northumbrian Saxon Styca, A Henry VIII Groat and a Treaty Period Halfgroat of Edward III. - . 22nd August 2018 - 6 New additions - Todays listings - 2 Northumbrian Saxon Styca's, A Saxon penny of Eadred, a lovely Henry VI Farthing. A Richard II Halfpenny and a Philip & Mary Penny. - . Halls Hammered Coins Guarantee that All coins sold are genuine with a full refund if found otherwise.